How will Apple redesign the iPad home screen? What can you do when you’re in Today View? Here’s how to access and manage the widgets in Today View. 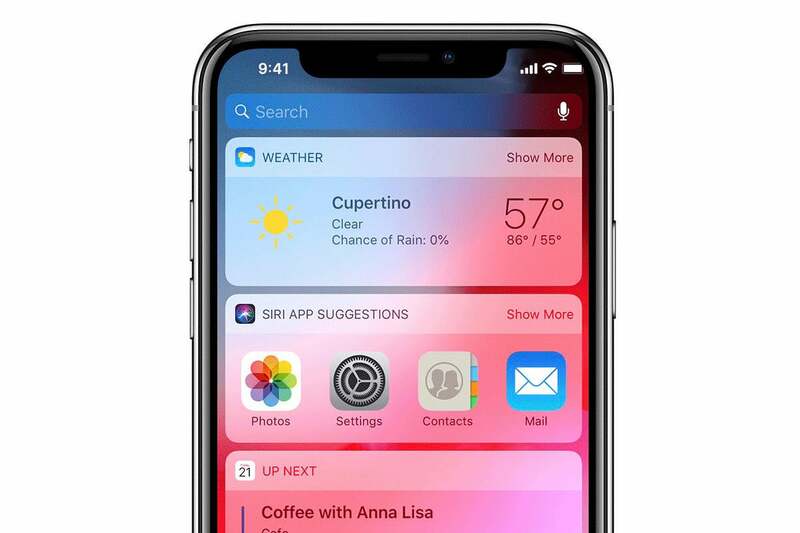 On the iPhone Home or Lock screen, swipe to the right edge of the screen. You can do this swipe from anywhere: the far left edge, the middle, or even close to the right edge of the screen. To go back to the Home or Lock screen form Today View, swipe to the left edge of the screen. Today View displays a list of widgets. Each widget represents an app on your iPhone and displays some information that you’d want quick access to. Some of the widgets let you do a few more things, as noted below. • Show More: Some widgets may have a Show More link at the upper right. If you tap this, the widget will expand and display more information. For example, if the Favorites widget for Contacts is in Today View, it will display four of your favorite contacts to call. 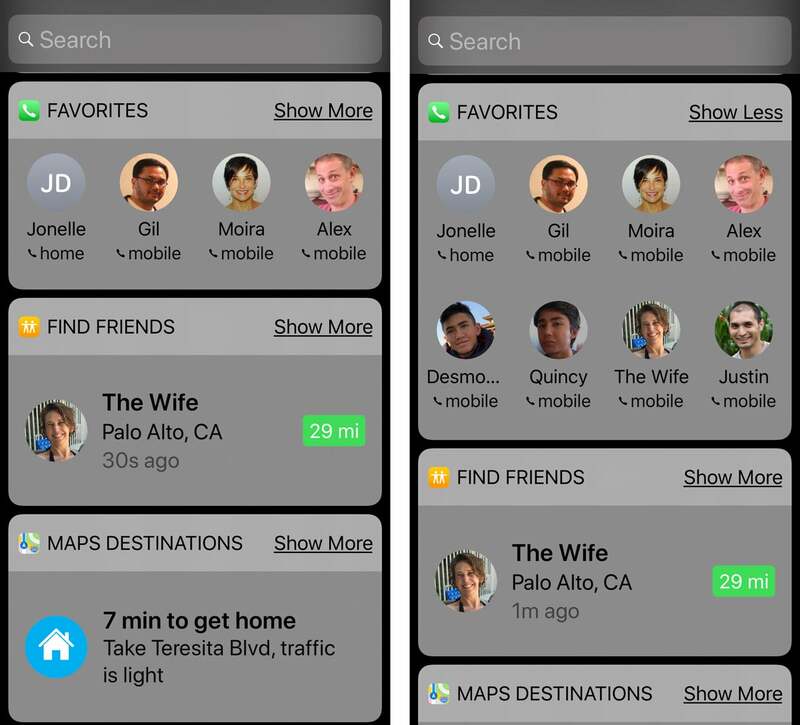 If you tap Show More, the Favorites widget will expand and display four more contacts, eight total. • Launch the app: Some widgets will launch its respective app if you tap it. For example, if you have the Map Destinations widget in Today View, tap it and the Maps app will launch with directions to your destination from your current location. You can add widgets to Today View. Here’s how. 1. In Today View, scroll to the bottom, You should find an Edit button, Tap it. 2. A new Add Widgets screen appears with a list of widgets. There are two lists here. The first lists the active widgets in your Today View. Scroll down until you see the More Widgets section, which are the widgets not in your Today View. 3. Find the widget you want to add. Tap the “+” icon. The widget will move to the bottom of the list of active widgets above the More Widgets section. To remove a widget from your active list, tap the “-” icon for the widget. It will then move to the More Widgets section. Widgets in Today View are displayed based on when you added them to your active list, with the most recently added widgets at the bottom. Here’s how to rearrange the widget list. 1. In Today View, scroll to the bottom, find the Edit button, and tap it. 2. You should be in the Add Widgets section. You’ll see a list of your active widgets in the order they appear in Today View. To move a widget, tap and hold on the icon with a pair of horizontal lines to the right of the widget name. Then drag it to where you want it on the list. Let go to place the widget.